Browse our comprehensive range of Sack Trucks! Fixed Toe sack trucks have solid plate toe and are the best selling of all sack trucks. They are the easiest and by far the most simple to use. These fixed toe sack trucks are ready to use when you are! Choose from our standard red range, or our solid traditional range for budget options. Sack trucks for every day uses. Can carry 12 times more weight than the average man! Save time and energy by using one of our sack trucks. 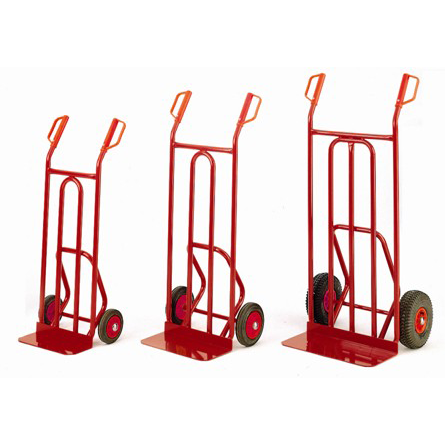 3 in 1 multi position truck, either a sack truck, platform truck or 4 wheel transporter! The most versatile product we sell!